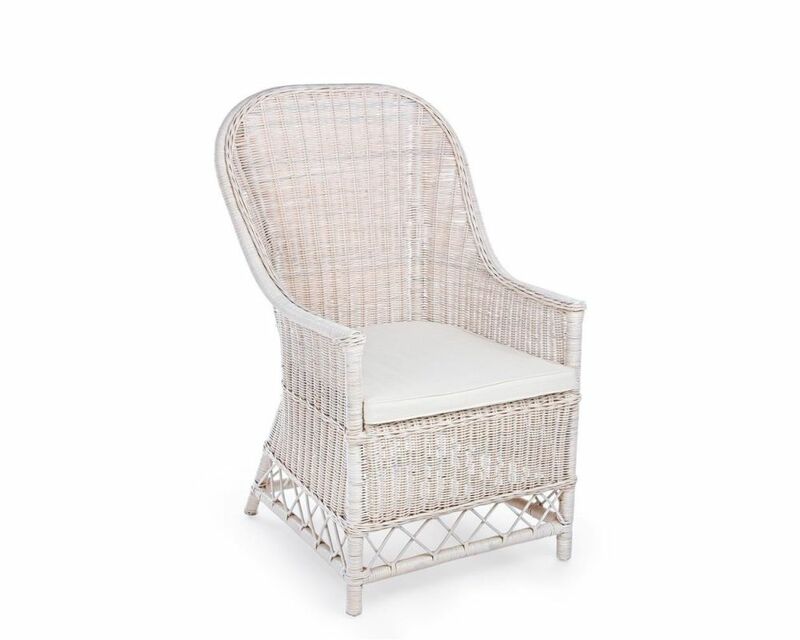 STRUTTURA IN RATTAN, RIFINITURA BIANCA DECAPATA A BASE MELAMINICA. CUSCINO SFODERABILE CON TESSUTO IN COTONE. SI RACCOMANDA DI NON ESPORRE IL MOBILE ALLA LUCE DIRETTA DEL SOLE ED ALLE INTEMPERIE.